Accepted for publication: 17.04.2018 r.
Polished concrete floor is modern type of the paving which can be recommended for production buildings, storehouses and supermarket halls. Ease of maintenance, longtime durability, high abrasion resistance and achievable high chemical / mechanical resistance, nominate this type of floor for many industrial and commercial buildings. Execution of the considered floor includes several grinding and polishing cycles and simultaneously application of impregnating and strengthening chemical liquid components. Polished concrete floors are subjected to risk of similar defects as the regular power floated floors strengthened by application of dry hardeners, however, additionally some new types of defects can happen due to thermal processes generated by grinding and polishing. Even though, high quality and long durability achievable in the final floor make the considered floors as very recommended for application. Keywords: concrete floor, polishing of concrete, defects of floor, quality of floor. Czarnecki Lech. 2008. „Uszkodzenia i naprawy posadzek przemysłowych”. 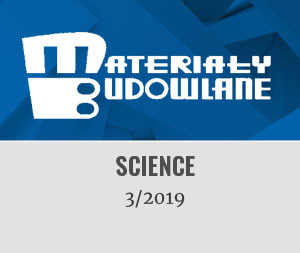 Materiały Budowlane 433 (9): 20 – 27. Czarnecki Lech, Janusz Mierzwa. 2004. „Wybrane przyczyny materiałowe uszkodzeń posadzek betonowych”.Materiały Budowlane 385 (9): 32 – 34. Concrete Construction Engineering Handbook. 2008. Editor: Nawy E. G. CRC Press. Harris Bob. 2009. „Specifying Polished Concrete Floors”. Concrete International (9): 39 – 42. Horoszczaruk Elżbieta. 2014. „Odporność na ścieranie betonowych posadzek przemysłowych”. Materiały Budowlane 505 (9): 4 – 6. Nasvik Joe. 2002. „Polishing Concrete with Diamonds”. Concrete Construction (8): 40 – 49. Polishing Concrete – Best Practice. 2010. Concrete Saving & Drilling Association (CSDA-BP-008). Polished Concrete – Definition. 2012. Concrete Polishing Association of America (DEF-PC-100). Schwietz Greg. 2008. „Polished concrete: Gaining fraction in the green-building arena”. Journal of Architectural Coatings (March/April): 12 – 19.